The booklet contains Chapter 1 of 'Fearless' with additional content. 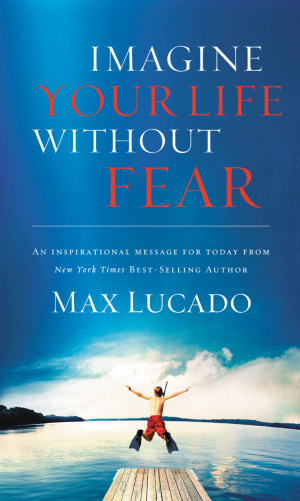 Imagine Your Life Without Fear Booklet by Max Lucado was published by Thomas Nelson in August 2009 and is our 7774th best seller. The ISBN for Imagine Your Life Without Fear Booklet is 9780849920202. Be the first to review Imagine Your Life Without Fear Booklet! Got a question? No problem! Just click here to ask us about Imagine Your Life Without Fear Booklet. Have read whole book, am thinking of giving booklets away at a friend's memorial service. So apart from Ch 1 i'd like to know what else is in the booklet of 'fearless' please.